From the flamboyance of Germany's fairy tale-Neuschwanstein Castle to the gothic, Dracula-inspiring Bran Castle, perched high in the craggy peaks of Romania's Carpathian Mountains; Tokyo's Imperial Palace, previously home to samurai warriors to Ireland's Blarney Castle, where 'the gift of the gab' will be granted to any who kiss its stone, the world's castles and palaces are steeped in history and stories to tell. 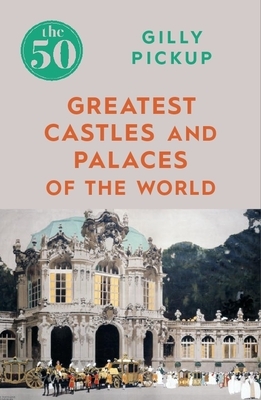 Travel writer and journalist Gilly Pickup shares these stories, providing a tour of 50 of the world's greatest castles and palaces, filled with humour, interesting facts and tips on how best to visit them. Gilly Pickup is a London-based freelance journalist specialising in destination travel and cruise but also publishing features on topics including arts and culture, history, wellbeing, animals, food and folklore. She has written for the Daily Mail, Daily Telegraph, Daily Express, specialist and trade titles and women's magazines. She has had six books published.